Get started by filling out our Quick Pre-Approval short form; this form doesn’t ask for your Social Security Number, but it will give you the maximum amount you may qualify for when purchasing a vehicle. If you are ready to proceed with your employment history and Social Security Number, fill out our Full Credit Application. Whichever option you choose, it will save you time when purchasing a vehicle at Lawrence Kia. 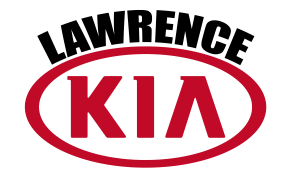 Since Lawrence Kia is one of the newest dealerships in our market, we are working really hard to build our customer base. The best way we know how to build our customer base is by offering the best price right out of the gate. However, offering the best price in the market leaves us with little to no room to negotiate. Good news for you is that this takes the unpleasant haggling and back and forth completely out of the car buying process. This is why our customers love doing business with us. Less time at the dealership, More Fun with Your New Car! While not every customer needs a credit approval program, we understand bad things happen to good people. Our number #1 goal is to get you approved and back on your feet. Our credit approval program will possibly do just that. This program is set-up to get your credit established and also to set you up with reliable transportation. Keep in mind this program is not to put you in your dream car. However, if you pay on this loan consistently, it will help you get that dream car you always wanted. Let’s get started, fill out our secure online credit application. Questions? Please contact us at 800-988-8624.